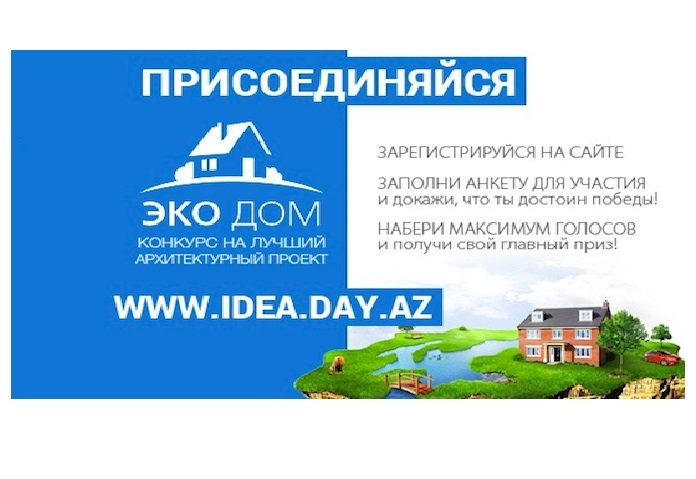 "Eko ev" (Eco house) - a new creative project has been launched by IDEA (International Dialogue for Environmental Action) Public Union. The project aims to attract young people to the initiative of construction eco-friendly houses and interiors and usage of them in the future. The project aims not only to construct eco-friendly houses and interiors, but also to use them in the future. The contest engages young professionals in the field of design and architecture at the age of 18 to 30. The designers should take into account all factors and combine shapelessness and optimum performance of major bio-energy systems in their concept. The ecology and creativity are inalienable and main criteria of the project, which should be usable in real life. 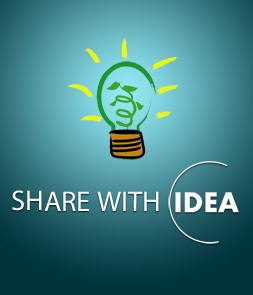 Young Azerbaijani designers wishing to participate in the contest can register and submit their projects in JPG format with descriptions at idea.day.az from February until April 15. The second stage of the contest will start from April, when the website will open voting. Authors of the ten most "liked" projects will be involved in the third final stage, which will be evaluated by the professional jury. The best three designers will be rewarded with money. Moreover, the first place winner will have a possibility to undertake internship abroad, while the second place winner will have the same possibility in Azerbaijan.